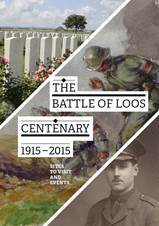 The Battle of Loos-en-Gohelle was held from 25 September to 19 October 1915. 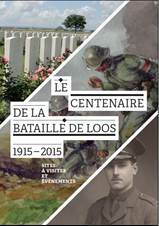 This brochure was produced to mark the centenary of the battle. After the great French offensive in May 1915 on the Artois front including allowing French to take the hill of Notre-Dame-de-Lorette, General Joffre is planning a new offensive for fall 1915, with the objective of attacking simultaneously in Champagne and Artois. 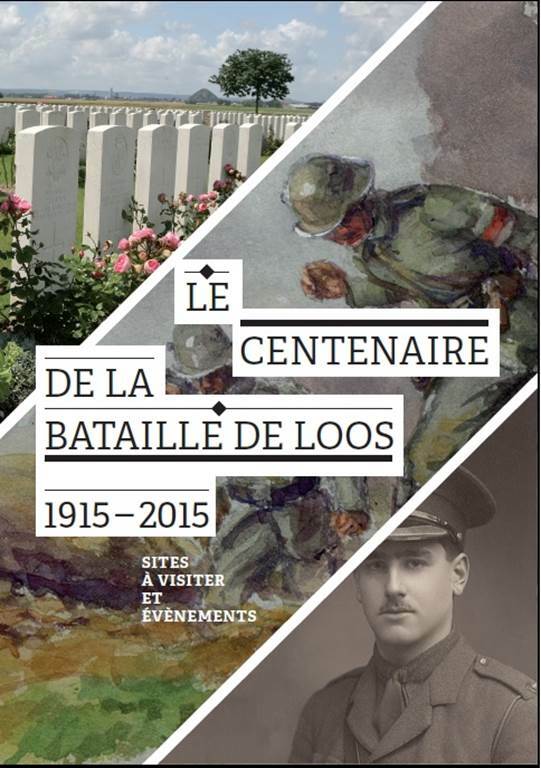 The "Battle of Loos" is the work of the forces of the British Empire in the mining region in support of the French army present on Souchez and Vimy Ridge. The front line around 15 km stretches from La Bassée in Lens through the towns of Auchy-les-Mines, Haisnes, Vermelles, Hulluch and Loos-en-Gohelle. The plot of the plain of the Gohelle is rather unfavorable to the British Army under the German positions such as "Hohenzollern Redoubt" in Auchy, the pit and heap # 15 in Loos-en-Gohelle or the " Hill 70 'which closes access to Lens southeast of Loos. Douglas Haig, commander of the 1st British Army mobilizes six divisions.However, the troops are exhausted by the fighting of previous months, two of the divisions involved are composed of inexperienced young volunteers and ammunition missing. Gohelle from September 25, the results are meager; the attack on the "Hohenzollern Redoubt" October 13 is a failure. 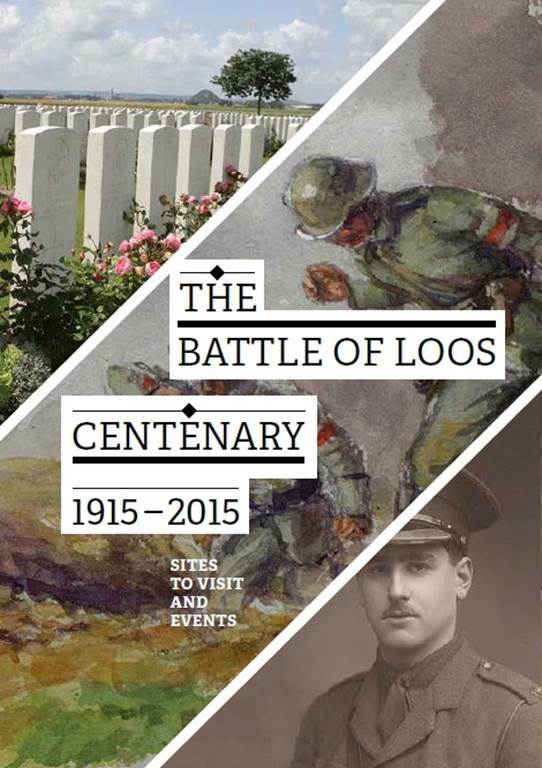 Even today, the "battle of Loos' remains marked by a heavy human toll and violence of the fighting. Of more than 8500 British soldiers killed on the first day of the battle, only 2000 have a known grave.